By removing the complexity and the tedious burden of updating multiple applications, Prometheus drives greater agility across automation and control systems, ensuring that plants run the most efficient and up-to-date processes. For the standards team, Prometheus templates ensure standards are not only achievable, but deliver real value. Code development independent of the target platform, optional functionality and intelligent plug and socket connections deliver agile templates, ensuring the maximum reuse of code. Integrated version management means standards can evolve as requirements change. Read the Press Release to learn more about this exciting Wonderware product. Download this announcement in the pdf format. 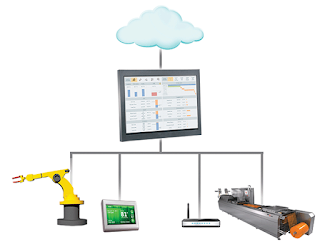 Wonderware Prometheus is the new way of configuration across all your industrial automation products, including third-party tools. Schneider Electric Launches, Expands, and Extends Wonderware Software Products, Source: arcweb.com.